The car trunk was jammed full of marijuana. HILLSBOROUGH, North Carolina -- The Orange County Sheriff's Office says it has arrested two women after finding the trunk of their car jammed full of marijuana. Monday evening just before 10 p.m., a deputy pulled the women from California over on I-40 East near Mebane for a routine traffic violation. During the course of the investigation, the deputy asked for assistance from a Mebane Police Department K9 unit. After arriving, the dog alerted to the odor of illegal drugs in the trunk of the car. 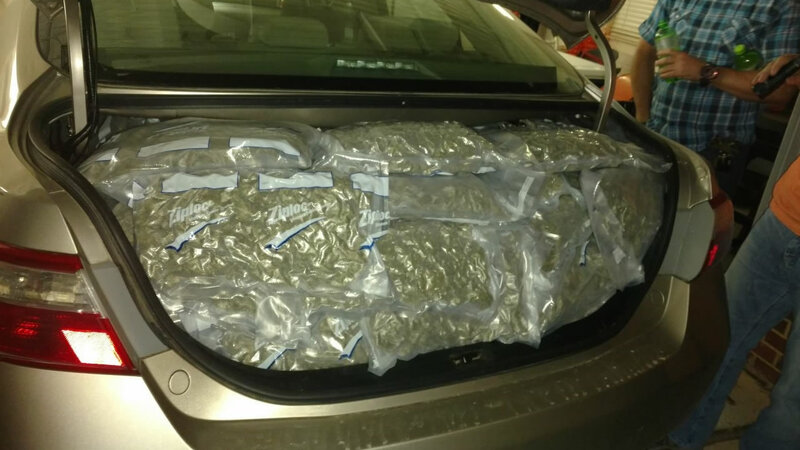 When officers opened the trunk of the Toyota Camry, they found 130 pounds of marijuana packed inside. The driver of the Camry, Ruth Paez Diaz of San Jose, California and her daughter Briann Marie Diaz of San Francisco, California were each charged with two counts of trafficking marijuana and are in the Orange County Detention Center under a $100,000 secured bond. The women will appear in court later this month.